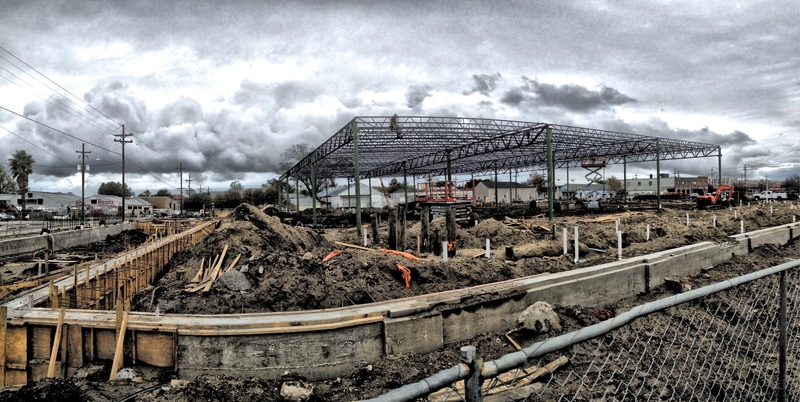 We have moved forward rapidly in the site and building construction at Mid-City Market in New Orleans. 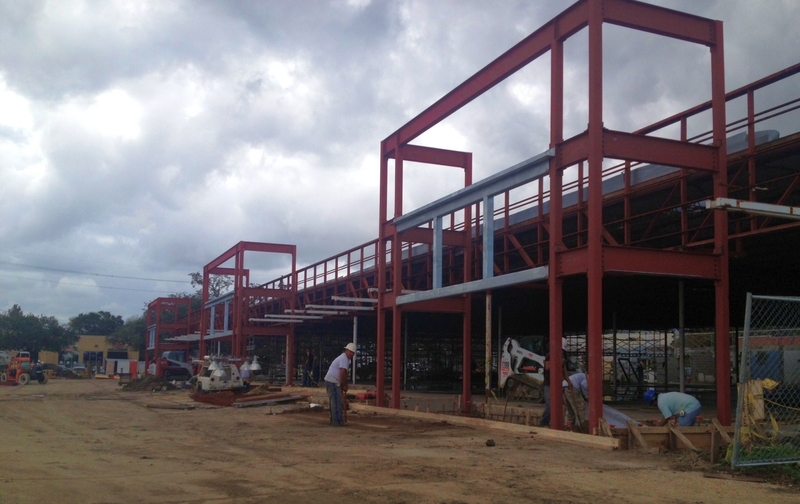 At Winn-Dixie, structural steel arrived on site and we have erected the standing up columns and joist girders within the interior footprint of the 53,000 square-foot building. We have completed underground plumbing and electrical work in all the areas with the steel overhead. In the next two weeks, we will be constructing the exterior load bearing metal stud framing walls and following immediately thereafter will be structural steel at the exterior. We will be completing underground plumbing and electrical work in exterior areas within two weeks, and beginning concrete pours of the slab at Winn-Dixie on December 21st. At the existing building under renovation, we have erected the steel tower elements for the entrances of the stores which will include Office Depot, Jefferson Feed, Panera, and Pizza Hut. The changes to the rear wall and repairs for the masonry are approximately 90% completed, and within the next two weeks the front curbs for the storefronts will be poured. We have begun the prep work and plan for the repairs for the roofing and decking to be replaced as well. The two small-shop buildings fronting Carrollton are progressing quickly as well – we are progressing with the underground work, expecting structural steel on site within the next two weeks, and aim to complete the slab pours by the end of the year.